The biennial study tour to Shanghai Education Union occurred during the September school holidays. The delegation comprised QTU representatives Kate Ruttiman (Deputy General Secretary), Jenny Swadling (Honorary Vice-President), Leah Olsson (Executive member) and IEU-QNT representatives Terry Burke (General Secretary and delegation leader), Rebecca Sisson (Assistant Secretary), and Brad Hayes (Assistant Secretary). The delegation participated in seminars, school visits, university visits and some cultural activities, and worked closely with Mr Ji Qihua (SEU Vice-Chairman), Mr Wu (Foreign Affairs), Ms Min Dan (Women’s Affairs and Teacher support). The delegation also met with the Chair of the SEU, Mr Cheng Danhong (Mr Cheng also holds the positions of Secretary of Shanghai Education and Health Care Affairs). 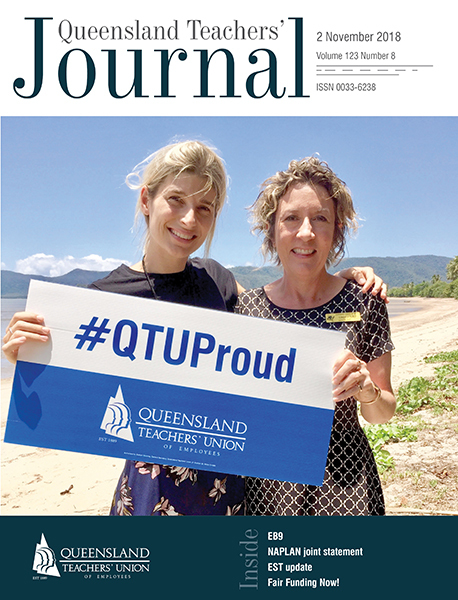 The SEU and the QTU/QIEU partnership has been ongoing for almost 15 years, and while there exist clear differences in our structures, some of the issues that the SEU and our unions experience are similar. It was the view of the SEU that Australian unions and unions in China work in different contexts, as unions in China work under the leadership of the Communist party. The functions of the SEU are to be the bridge between faculties and schools and to be the organisation that protect the rights of teachers. In protecting the rights of teachers, the union holds school leaders to account; e.g. leaders in each school must include in the school’s annual report an account of the work they have undertaken as a school leader and provide that report to the union. In China, the salaries of teachers in public schools are fixed and cannot be increased, as schools must follow the standards set by the Party. The union therefore focuses its work on the welfare and the standards of teachers. Private school salaries are set by negotiations between administration and the union. issues for women, in the workplace and union. A number of these issues are worth further discussion and exploration, and it is suggested that they form the basis of school visits and seminar presentations when the SEU visits the QTU and IEU-QNT in 2019. Given the similarities of the issues faced by the SEU and the QTU/IEU-QNT, the ongoing friendship agreement between the two countries provides an opportunity to investigate approaches by other unions to these issues.